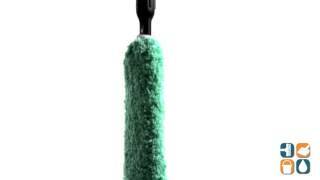 Rubbermaid Microfiber Flexible High-Reach Duster Wand. 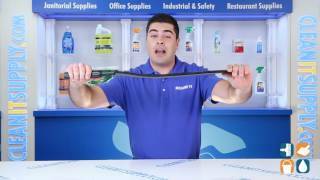 Flat, 20" long wand reaches into narrow, hard-to-reach spaces to effectively remove dust, dirt and grime. Flexible wand conforms to irregular surfaces. Binding on wand provides easy threading of dusting sleeve. Quick-connect handle converts hand duster into high duster; use with Microfiber Mop Handles RCP Q750 and RCP Q760 (sold separately) to extend reach. 28-3/4" overall length. 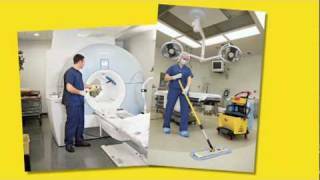 Also check out our other Janitorial Supplies right here at CleanItSupply.com today and save.